The central bank of Nigeria has directed all commercial banks to stop any transaction that has to do with virtual currencies. The Central Bank of Nigeria, CBN has banned banks from any transactions in virtual currencies. 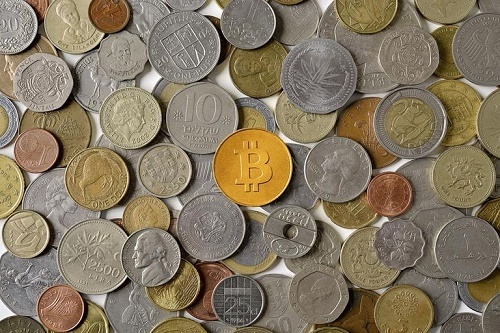 The ban was issued on Tuesday by the Director, Financial Policy and Regulation department, CBN, Mr. Kelvin Amugo, said it was necessitated by money laundering and terrorism financing risks inherent in operations of virtual currencies. In a circular to banks and other financial institutions on virtual currency operations in Nigeria, Amogu stated: “The emergence of Virtual Currencies (VCs) has attracted investments in payments infrastructure that provides new methods of transmitting value over the internet. “Transactions in VCs are largely untraceable and anonymous making them susceptible to abuse by criminals, especially in money laundering and financing of terrorism. VCs are traded in exchange platforms that are unregulated, all over the world. Consumers may, therefore, lose their money without any legal redress in the event these exchanges collapse or close business. “The development of VCs Payment Products and Services (VCPPS) and their interactions with other New Payment Products and Services (NPPS), give rise to the need for guidance to protect the integrity of the Nigerian financial system. There is, therefore, the need to address the Money Laundering/Terrorism Financing risks associated with VC exchanges and any other type of institutions that act as nodes, where convertible VC activities intersect with the regulated fiat currency financial system. The apex bank reiterated that VCs such as Bitcoin, Ripples, Monero, Litecoin, Dogecion, Onecoin, etc. and similar products are not legal tenders in Nigeria, thus any bank or institution that transacts in such business does so at its own risk. The CBN ban is coming a week after the Securities and Exchange Commission (SEC) issued a warning against virtual currencies.